Mimaki is continuing its Inprintura seminar programme. 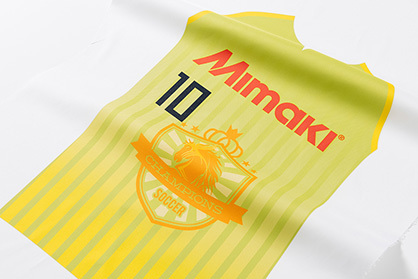 The focus of the event is Mimaki’s new inkjet all-rounder for highly precise and flexible tasks in digital textile printing, as well as a micro factory, together with its media partner Krea Technische Textilien GmbH. Mimaki, a leading manufacturer of wide-format inkjet printers and cutting machines, is announcing the continuation of its Inprintura seminar programme, a forum for print and textiles. KREAtive Factory will be open from 9 to 11 October 2018 at the premises of textile manufacturer Krea Technische Textilien GmbH in Krefeld, Germany. The event is configured as a micro factory that encompasses the entire textile workflow, from colour profiling, digital printing and heat setting right through to laser cutting and finishing. On 10 October, visitors will be able to spend time at each of the various work stations, as well as attend talks by experts during the Inprintura print and textile forum. Mimaki has engaged experts from renowned manufacturers as well as speakers from research and science backgrounds that are eager to share their knowledge. “We are not simply presenting our systems on a trade show stand – our customers’ applications are extremely important to us. KREAtive Factory, includes a variety of different applications, demonstrating all the necessary operational steps for each, from data generation right through to the final result,” explains Uwe Niklas, Sales & Marketing Director at Mimaki Deutschland. This application-oriented approach is Mimaki’s overall theme for the Inprintura seminar programme on 10 October. 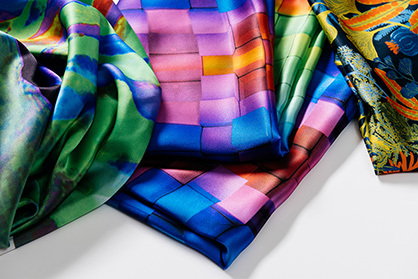 “Mimaki is more than just an equipment supplier. With these events, we are putting the emphasis on sensual experiences and on discovering the enormous flexibility digital printing has to offer within the context of a complete micro factory,” Niklas adds. “Digital printing using eco-solvent, UV, pigment, latex and sublimation inks is an important topic for textile manufacturers like KREA. The co-operation between digital printer manufacturers and textile producers can create perfect solutions for the graphics industry,” explains Jörg Hippel, Managing Director and co-creator of KREAtive Factory. “Visitors at Inprintura will be able to obtain comprehensive information and see the entire process, from textile to print and finishing to the final end product,” adds Hakan Kizilaslan, Managing Director at Krea. Krea Technische Textilien’s 30 years of expertise in developing and producing technical textiles, as well as its German engineering, are making an impact on the market. This is reflected in the remarkable quality of the entire product range of its technical textiles. The direct co-operation between developers and production enables the discovery of precise and cost-effective solutions for any application the textiles, apparel and home décor industries are seeking. More details about Mimaki products, including its full range of printers and inks, can be found at http://www.mimakieurope.com.